BVI bareboat charters are the guiltiest pleasure of thousands of visitors that come to these islands each year. I think that commandeering a boat for the day, or the week is one of the smartest decisions that you can make when coming here. There are quite a few BVI bareboat charters on the island of Tortola. So how do you know which one is right for you? Don't worry, if you're trying to make a decision on which charter company to use, please let me help. I recommend one company when sailing the Caribbean, that company is Conch Charters. Cindy's crew (pictured here) will take great care of you. The staff is always friendly and helpful. So don't be afraid to ask all the questions you need. 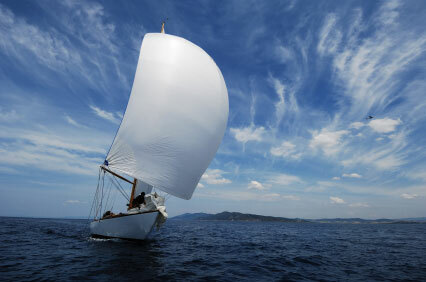 Conch will go that extra mile to make sure that your sailing experience is one you'll never forget. Conch has been in the yachting business since almost before I was born, so they know quite a bit about what it takes to make your excursion special. The best part about Conch is their prices, you will get more boat for your buck with Cindy and the gang. 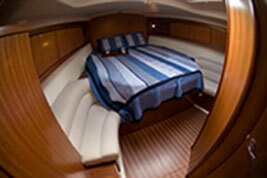 They also have a wide variety of yachts to choose from, so you can find a ship that meets all your needs. Don't forget that bareboat charters, don't have any provisions (supplies, food, snorkel equipment, etc). You can bring your own food, paper towels, and soap if you wish. If you really have no idea what you'll need, they've got you covered again. Conch has three different provisioning lists that you can choose from. You see, they do all the hard work, so you can do all the relaxing. Also make sure to check the map and the weather before you go. There's no use in losing your way or getting swallowed up by a storm. 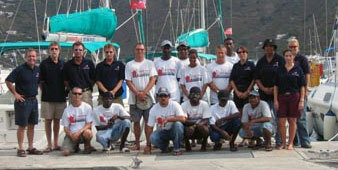 BVI bareboat charters are Conch's specialty, but they also offer crewed charters. For those of you who don't care to lift a finger while sailing the Caribbean. 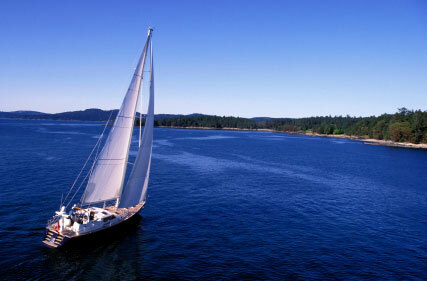 If you want to bareboat, but need some help it is available. Conch offers captains ($150/day) and cooks ($135/day). Just hire out the help, to be totally carefree.